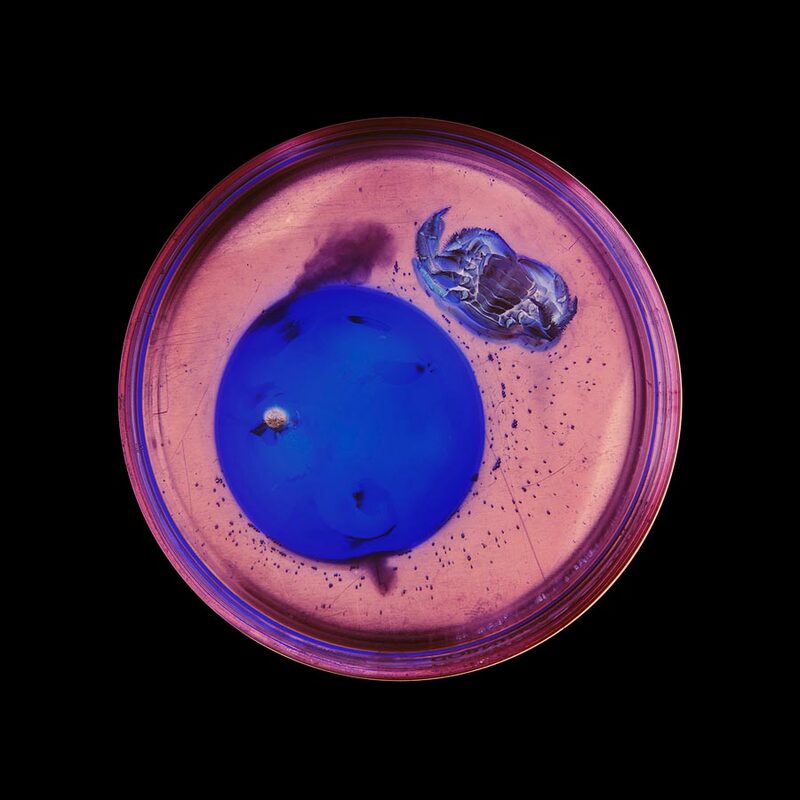 Suzanne Anker: The Blue Egg, 2013. Archival inkjet print, 22×22 in. Whether found in nature or biologically reconstructed, food, in addition to supplying the necessary nutrients for life, has heralded in contentious political, economic and cultural issues. Seeds, as robust offerings from the Earth’s pantry are being patented by corporations, while gene sequences are being manipulated to create transgenic entities. The expanding field of synthetic biology, a kind of molecular grafting, brings into existence novel forms of life. As Carl Linnaeus’ formal taxonomic categories are overturned through genetic engineering, amalgams of variegated species can be combined and reordered. This kind of fusion is hinted at in the choice of diverse materials pictured here, both organic and inorganic, both dead and alive, both edible and poisonous. The material processes of remaking, repairing, restructuring and revamping are the new “calls of the wild” as natural resources are being exploited and tendered in this time of climate change. The concept of Vanitas, as simple warnings about the delicacy of life, are represented here as reminders of both life’s continuum and death’s seemingly finality. Color, an indicator of chemical and aesthetic value is the subtext of this exhibition as products of nature intermingle with those of industry. Arranged as an anthology of color, the viewer is greeted by nature’s harvest and mankind’s second-nature simulation of products reflecting nature’s storehouse of essences.